"Timing is everything this year. Abraham says choosing the round to send in your application will be even more important than last year, when she says a number of schools contacted her in search of quality third-round applicants. Latecomers to some schools might be better off waiting until the early rounds of next year. Over the years, Abraham says she hasn’t observed a significant difference between the competition in the first and second rounds at most schools, but ‘there is a big dropoff in acceptance rate after January,’ she adds. "Each school has its own strategy in choosing a class, and that must be factored into an applicant’s decision on when to apply. In the later rounds, many schools are looking to fill out their remaining diversity element, further decreasing the statistical handicap of many candidates, says Abraham." The increase in volume is dramatic at some schools — like Tuck. Solid at others — like Chicago. And modest or non-existent at others — so far. But as the article says, authoritatively citing an expert — me — acceptance rates decline after the January deadline. If you tried to apply ED and weren’t accepted, you can still submit quality applications second round. If you applied first round, but would like to have additional applications on the burner to increase the chances of your attending an MBA program this fall, there is still time. If you are just getting your act together, you have a lot of work to do before January and should consider applying to some schools second round and others third round, or perhaps postponing your efforts until next fall. Remember Linda’s Rule: Apply in the earliest round possible PROVIDED you don’t compromise the quality of your application. 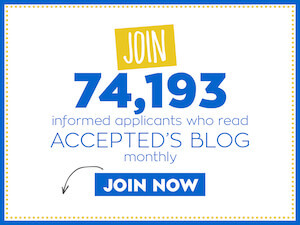 Accepted.com editors are still available to help you submit quality applications for those Round 2 deadlines. We can save you some time while helping you write your best. Check out our MBA admissions consulting and editing. Last updated on December 8, 2005.